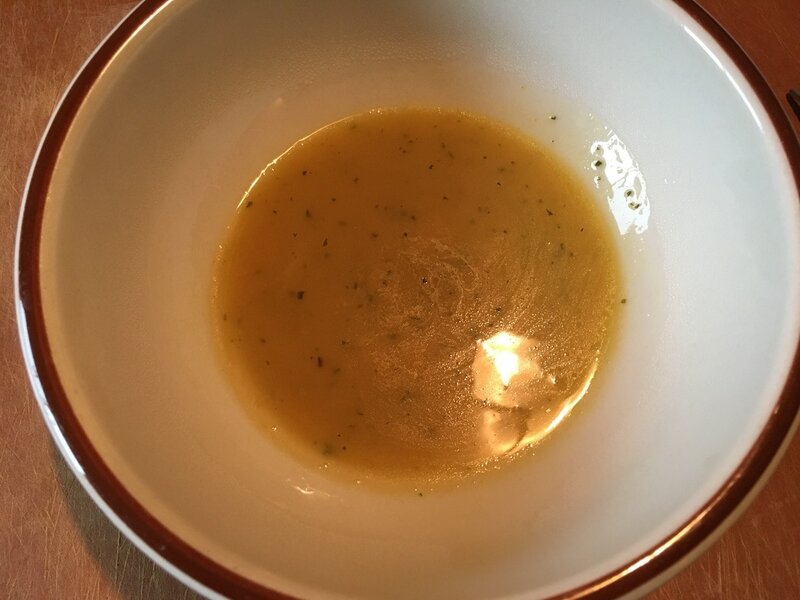 ​Nevertheless, Bouyon is such a versatile soup. The protein can be any kind of your choosing and there are plenty of various vegetables, especially root vegetables. What really makes it Bouyon is the boy. You can't have Bouyon without the boy. 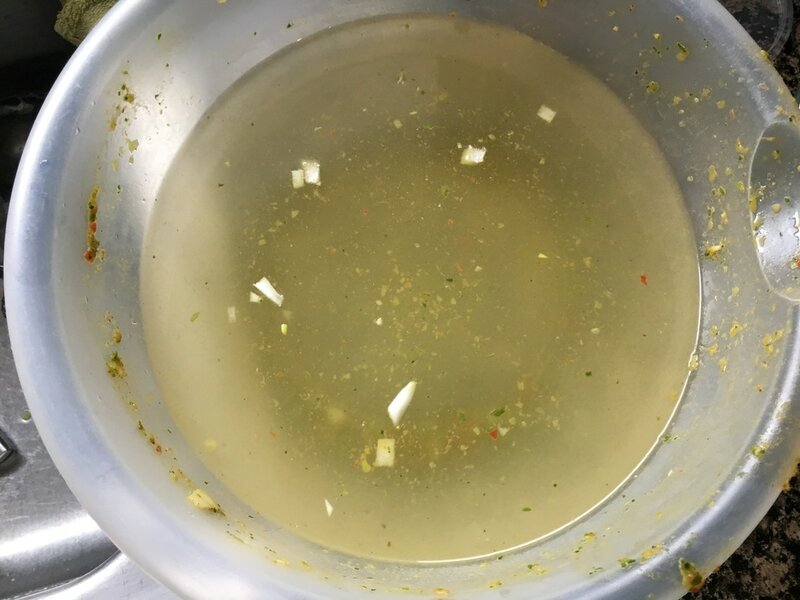 It's also a very filling soup that we eat all year round. If any of us were sick, better believe my mom would make a big pot of bouyon. Think of it as the Haitian version of chicken noodle soup upgraded to the max. "Bagay sa ap ba-ou fos!!" (This stuff will give you strength!) 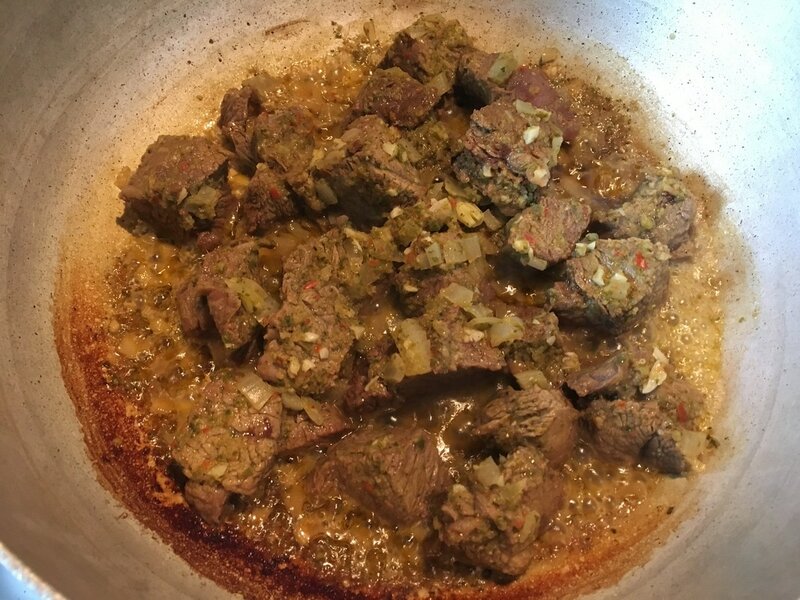 I want to present to you my version of Bouyon made with beef as the protein component. 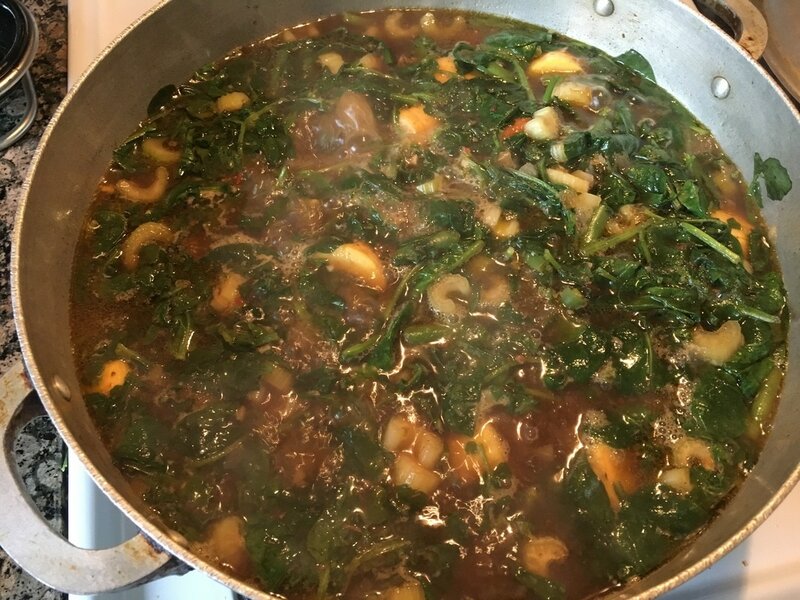 This soup does take some time in preparing but I assure you, it's worth every second. ​1. 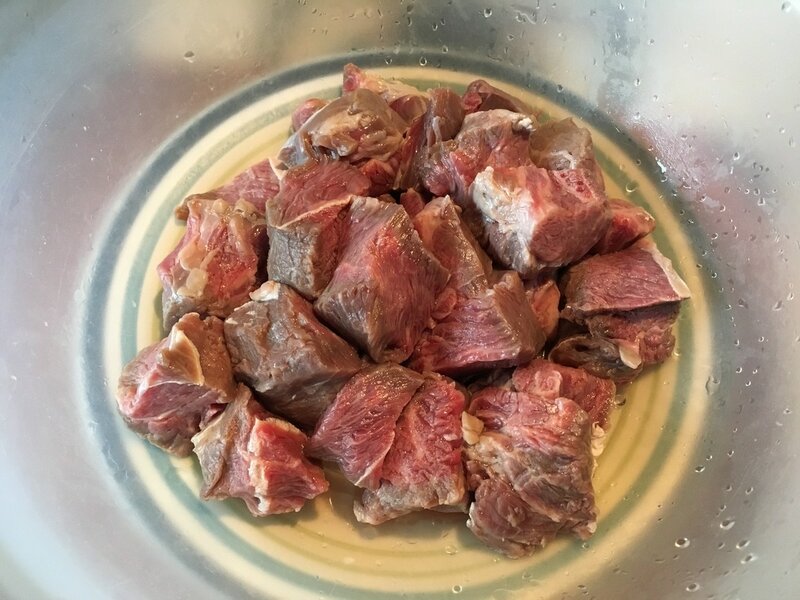 For the meat, I prefer using beef shoulder roast over stew beef because of the price. 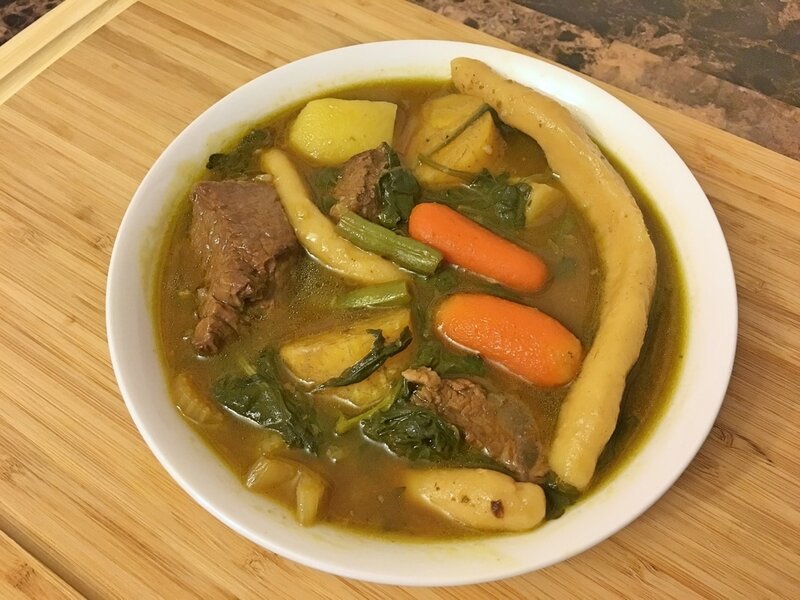 Nowadays, stew beef runs over $5/pound in my area. Beef shoulder roast has been on sale for around $2.99/pound. I get a good hunk of meat for an awesome deal and I just cut it into chunks myself. Just be sure to trim off any excess fat. Clean the meat according to the "Cleaning Meat” page and you should have something that looks like this. ​2. 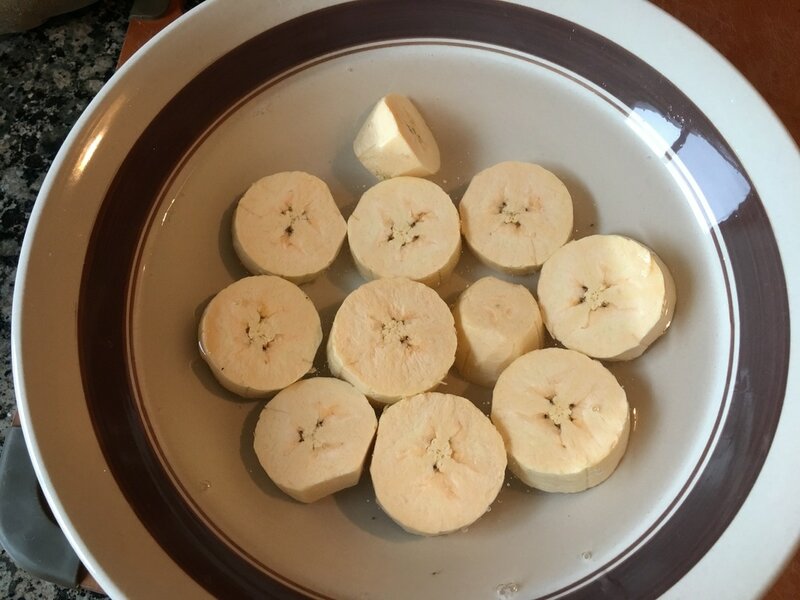 In a small bowl, add 2 tbsps. of either lime juice, lemon juice, or sour orange juice. 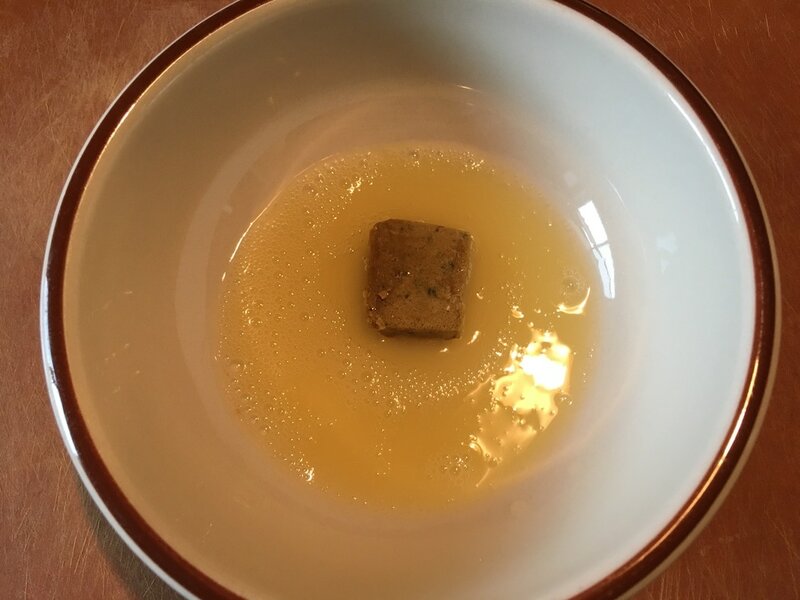 Add 1 Maggie cube and microwave for about 30 seconds. Crush the cube in the juice until it dissolves. 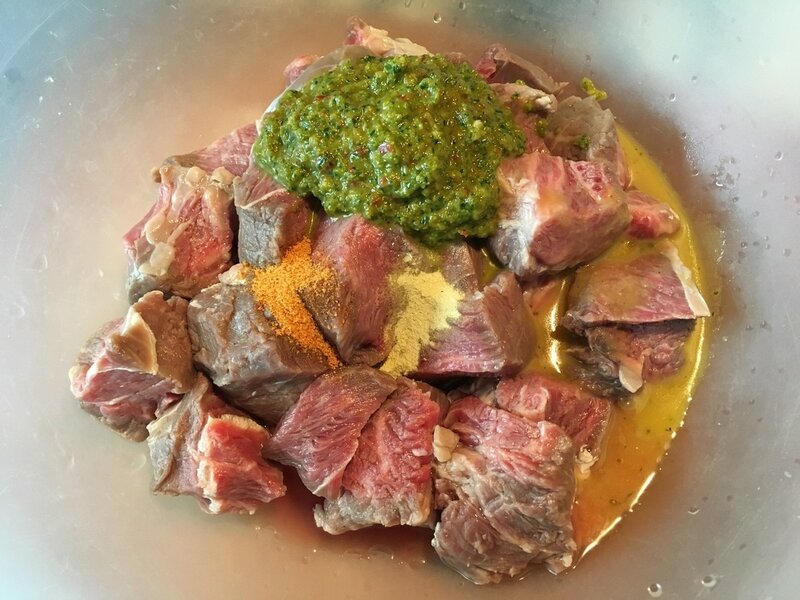 If desired, this step can be skipped and you can add these ingredients directly to the meat in step 3. I personally like to do it this way to ensure that the Maggie fully dissolves to well incorporate into the meat. ​3. 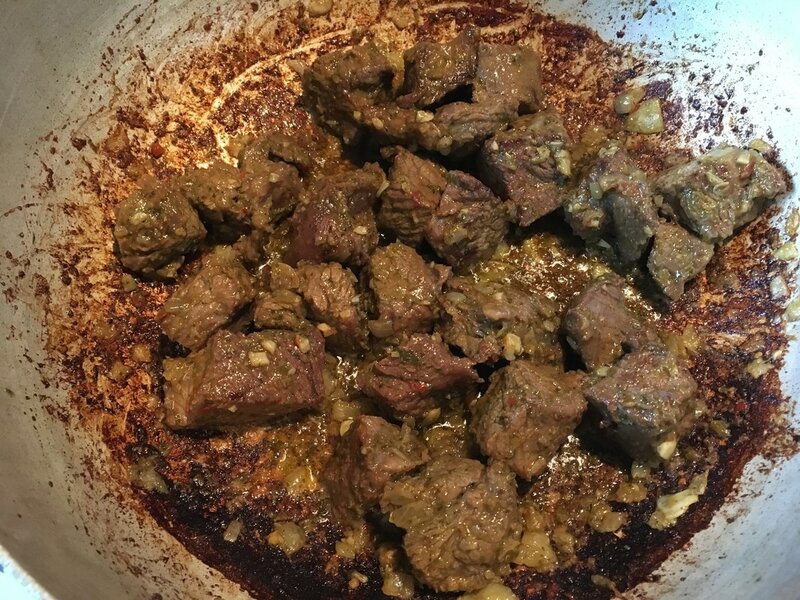 To the bowl with the beef, add 4 tbsps. of epis, ½ tsp. of seasoning salt, ½ tsp. 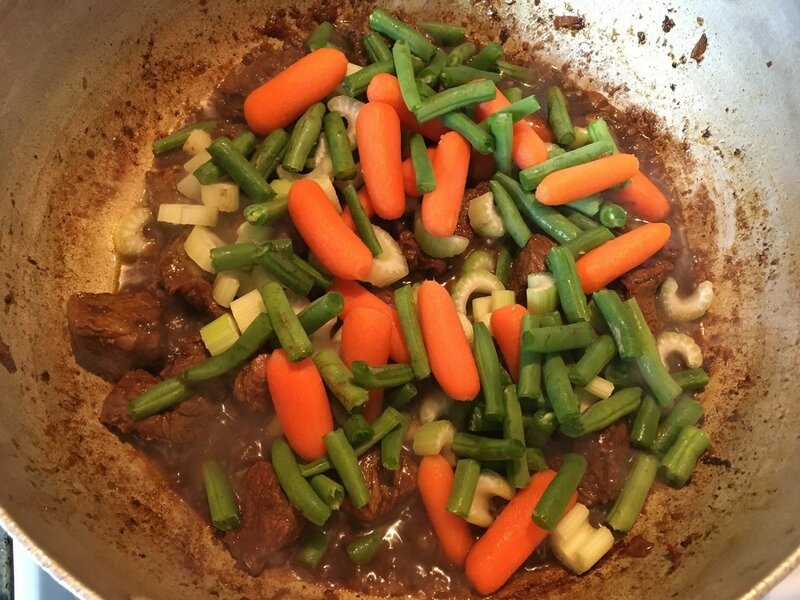 of Adobo, and the dissolved Maggie cube in the citric juice. 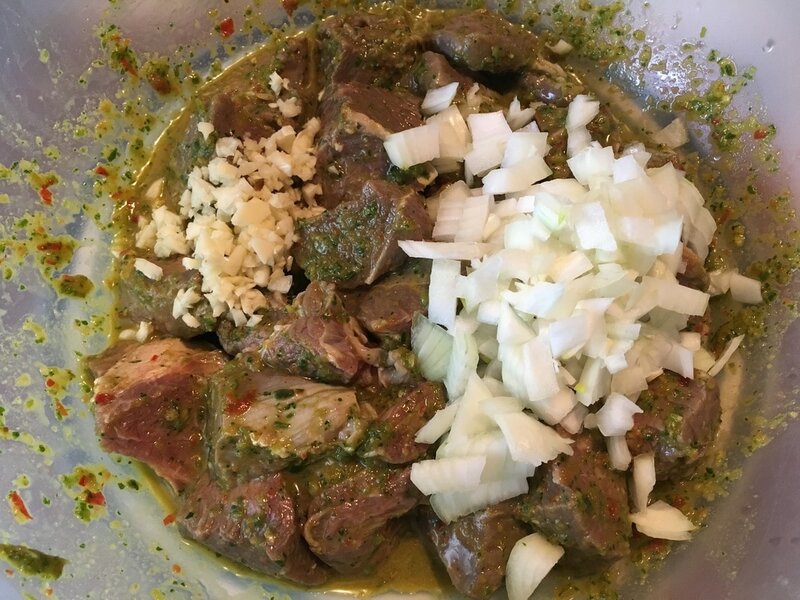 Also add in 1 diced onion and 3 – 5 crushed garlic cloves. 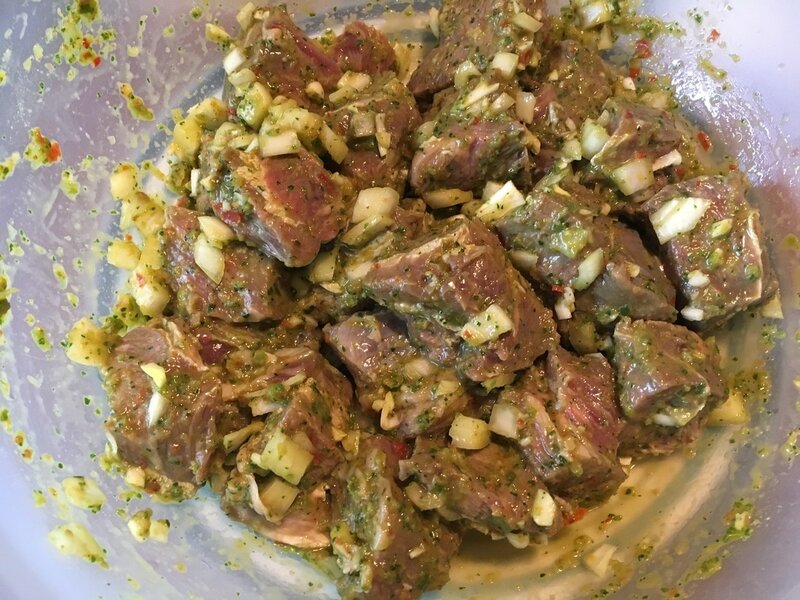 Mix the ingredients well and set aside to marinate while preparing the vegetables. ​4. 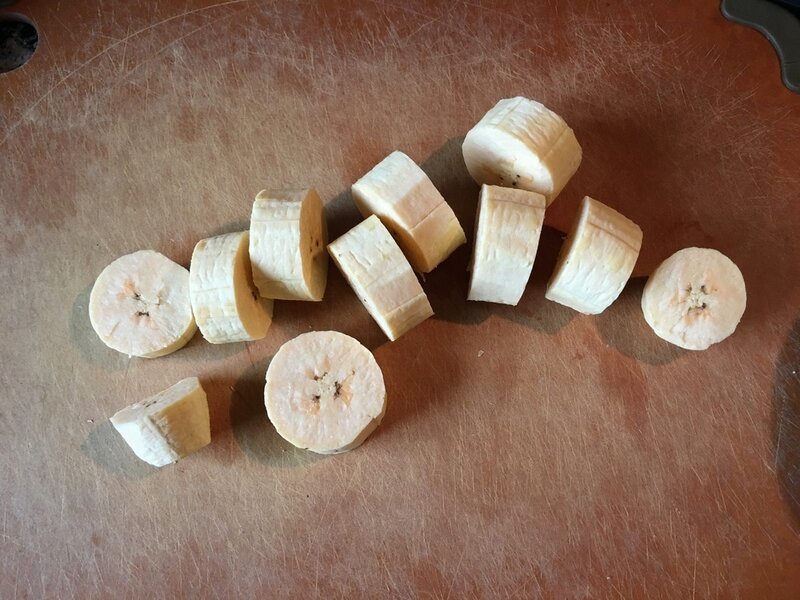 Peel 2 plantains and cut into about ½ inch width pieces. 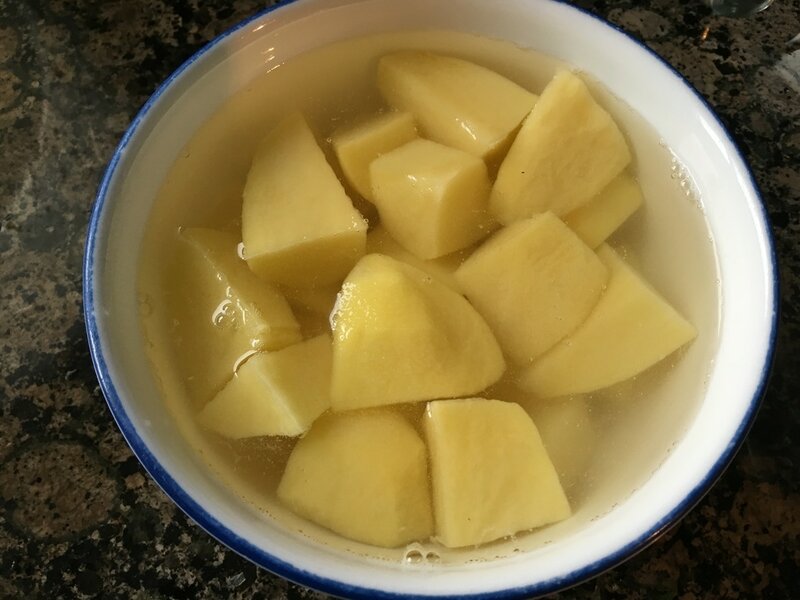 Set them aside in a bowl of cool water to prevent them from turning brown. ​5. 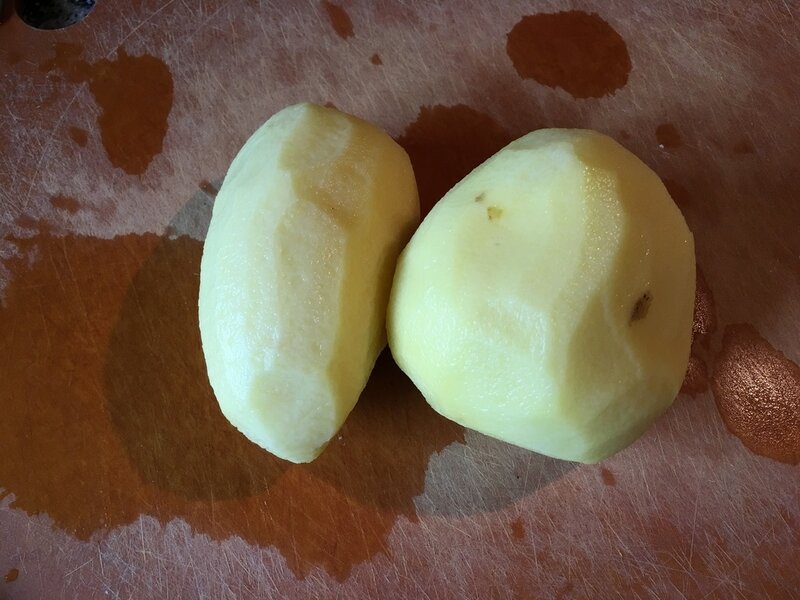 Wash, peel and cut 2 medium potatoes. I highly recommend choosing a waxy potato like red or gold. 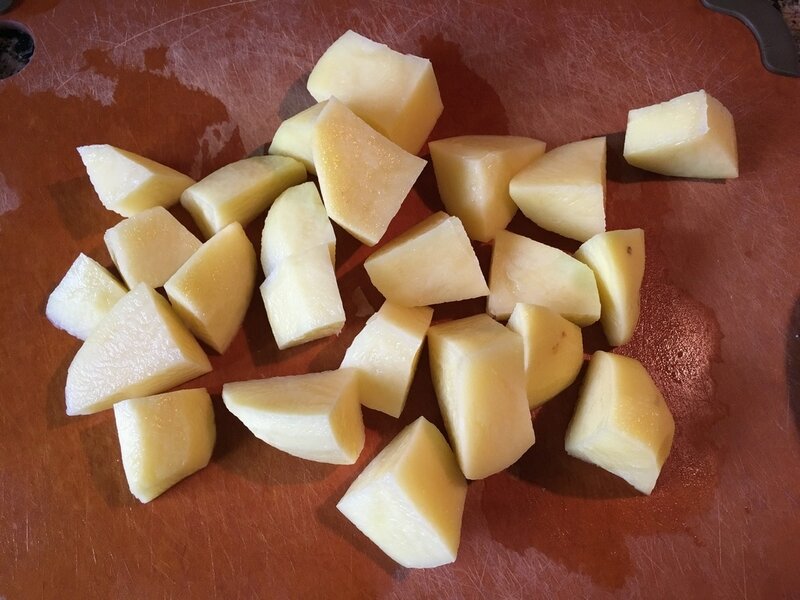 Avoid russet potatoes as they will cook too quickly and easily turn into mush. 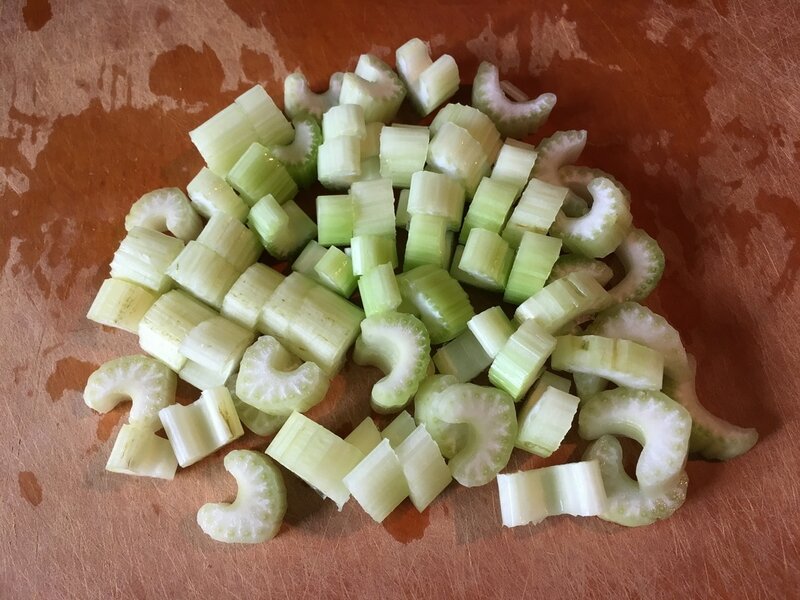 Don’t cut them too small in order to keep them from easily breaking apart in the soup. Be sure to also set these aside in a bowl of cool water to prevent them from turning brown. ​6. 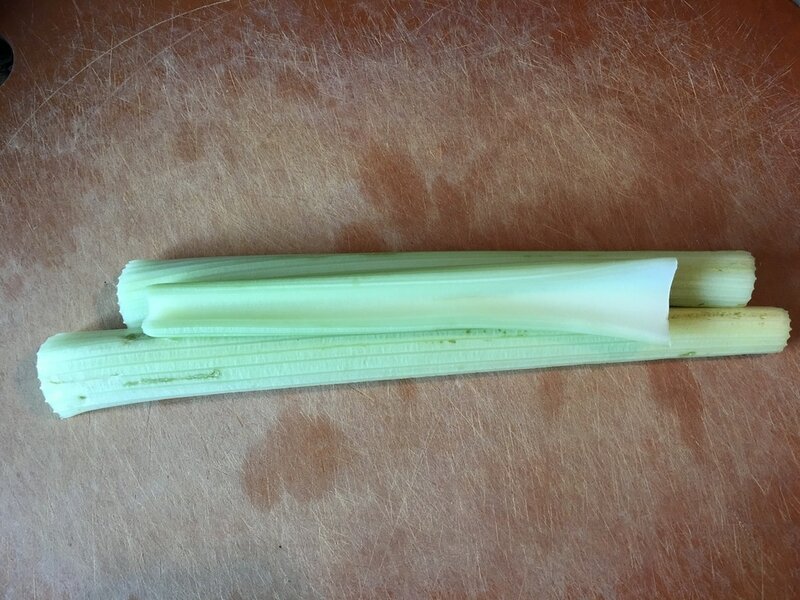 Rinse off 2 – 3 stalks of celery and dice them. ​7. For the carrots, it’s easier to use baby carrots since they are already cleaned and cut. 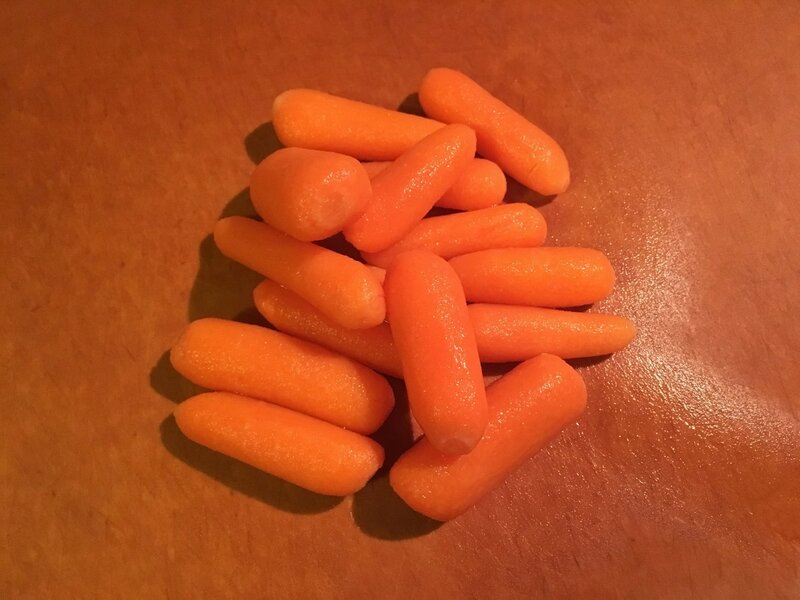 If using whole carrots, wash them, peel them, and cut into 1 inch pieces. You will need about a cup of carrots. Set them aside. ​8. 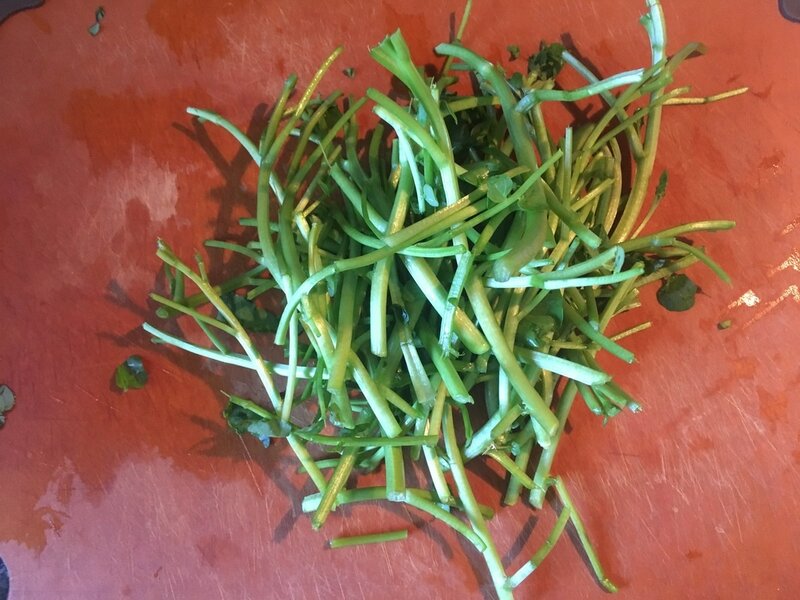 Wash then cut off the ends of fresh green beans and cut them into 3 or 4 pieces depending on its length. You want them in about 1 inch pieces. 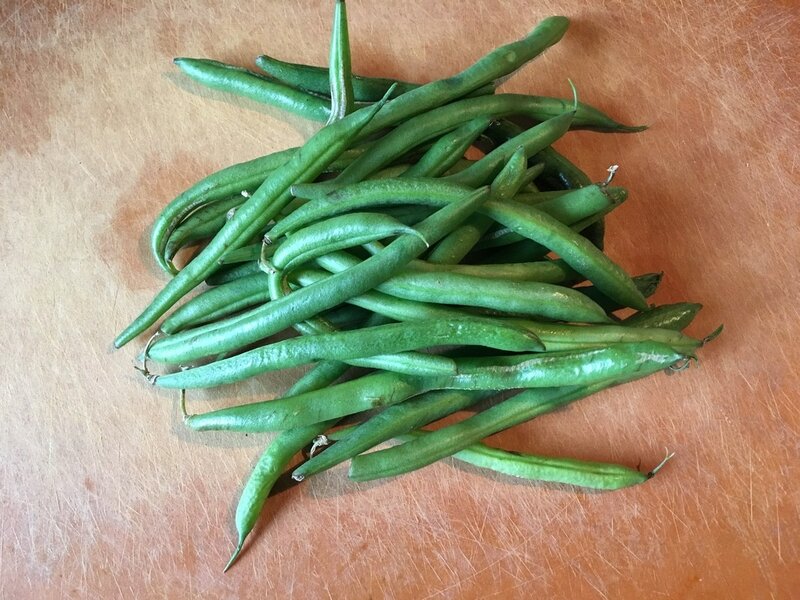 You will need about a cup of green beans. Set them aside. 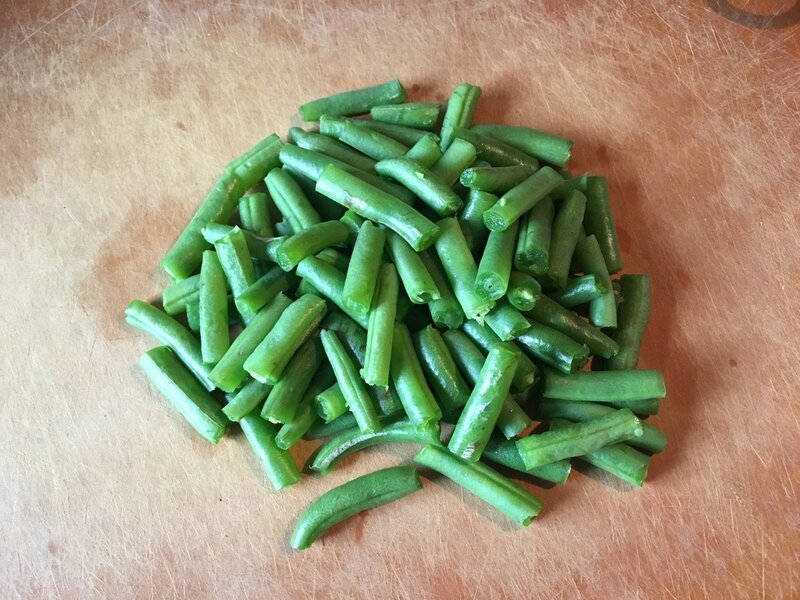 You can also use frozen green beans but fresh is always better. 9. 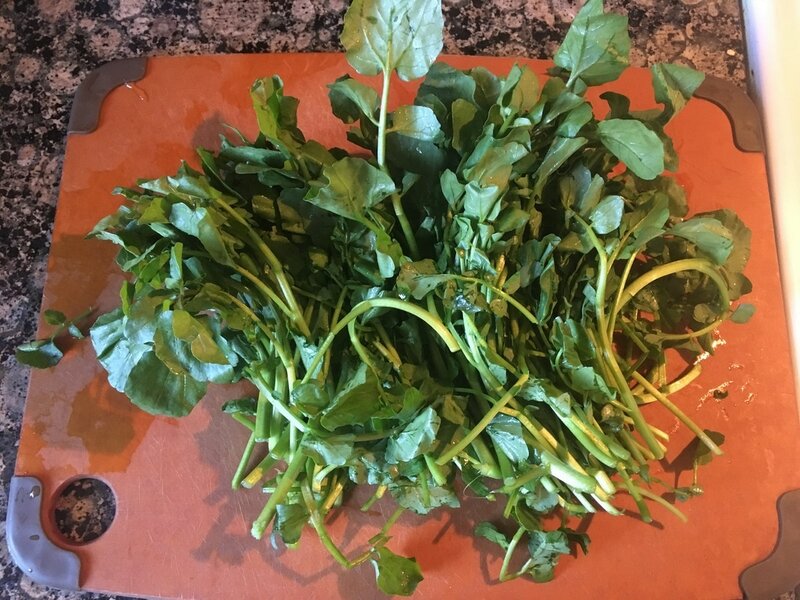 You will need about 2 bunches of watercress. 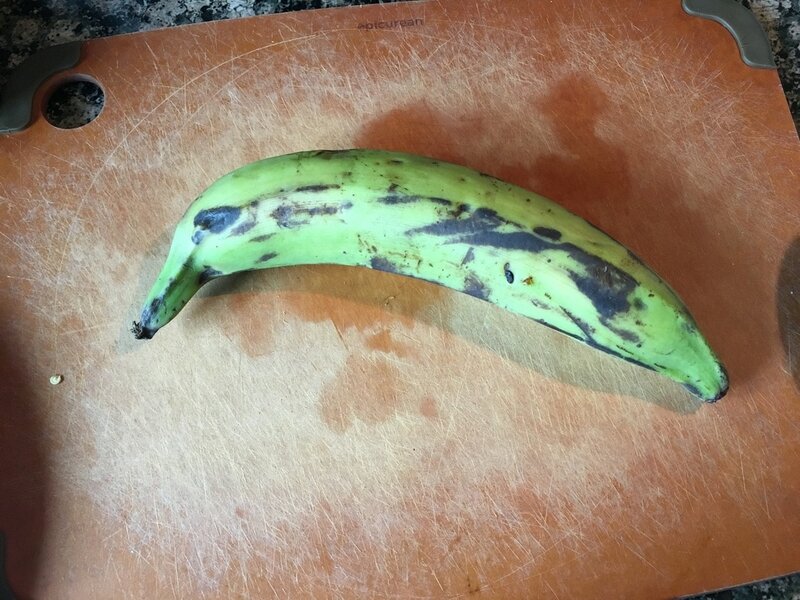 Cut off the thick stems and discard. 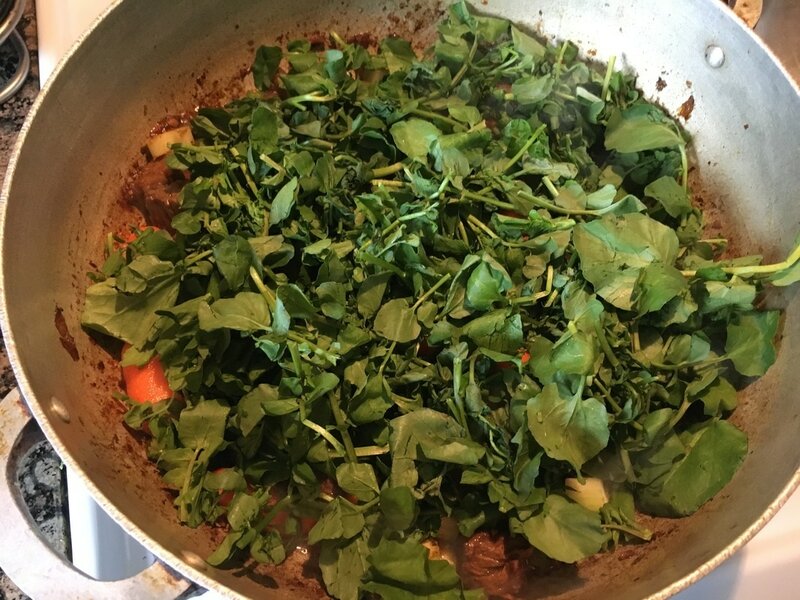 Be sure to thoroughly wash the watercress. 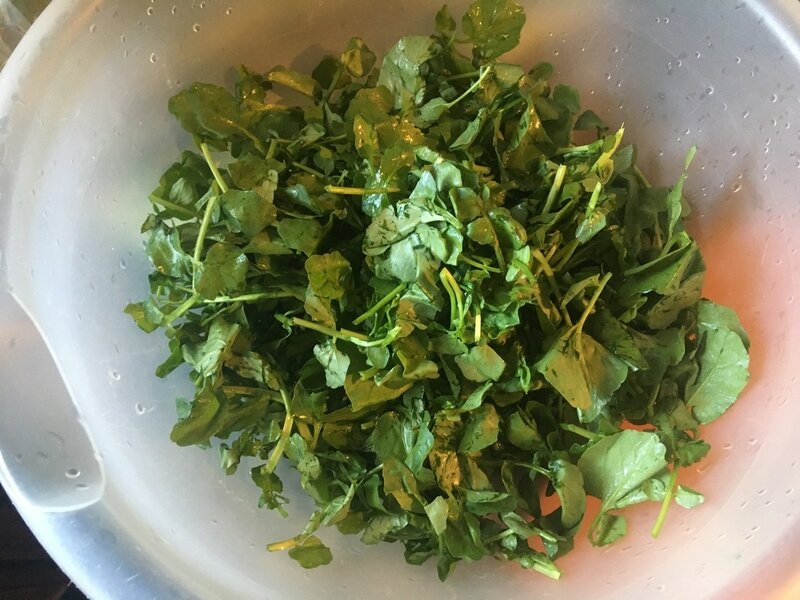 Sometimes small little insects like to hide in bunches of fresh greens. The last think you want is extra protein. Unless you like that sort of stuff, then by all means… Afterwards, Set them aside. ​10. 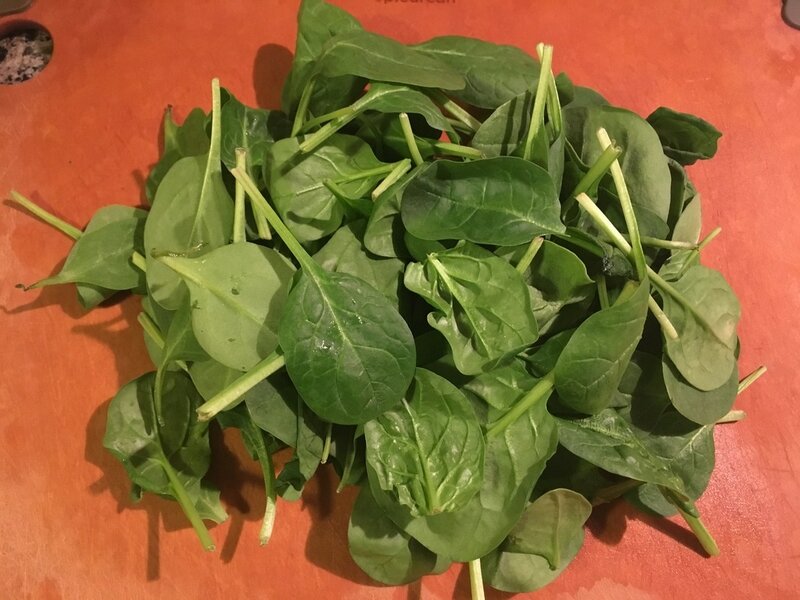 The last vegetable for this recipe calls for about 2 cups or an 8oz package of fresh spinach. If you’re also getting this fresh as a bunch, be sure to cut off the long stem. The length of the stem in the packages that come ready to go don’t need to be cut. Set them aside. 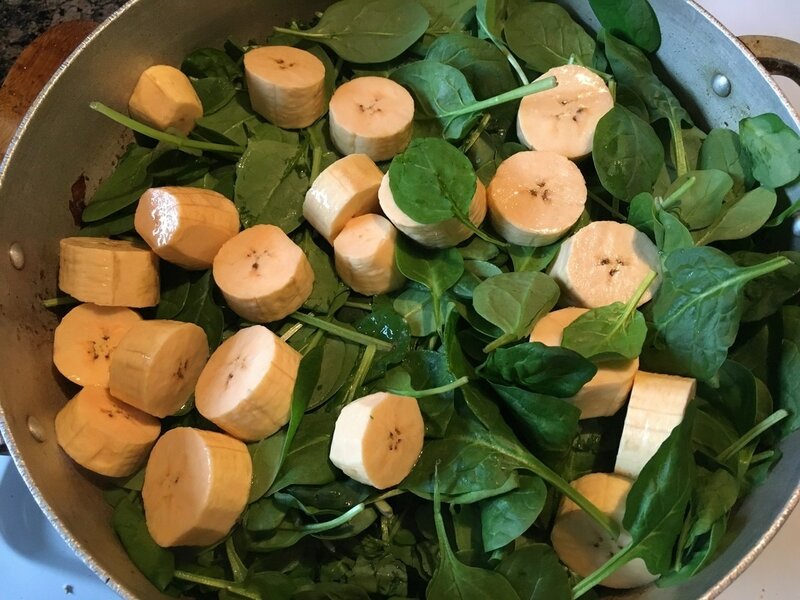 There are several other variation of vegetables that can be added to bouyon but these are my personal favorite. For example, yams or yucca root can be added but I’m not a fan of these root vegetables much. ​11. 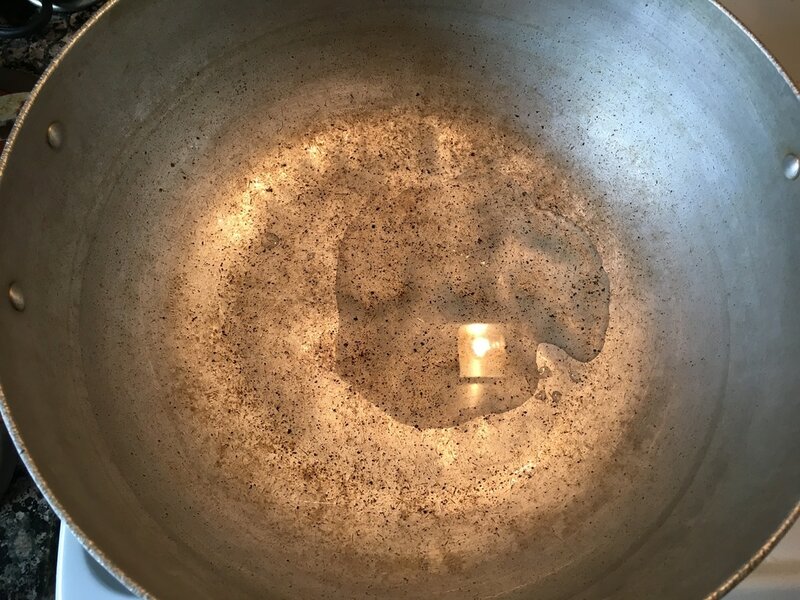 Place a large pot on high heat, add 2 tbsps. of vegetable oil and the marinated meat. Cover the pot with its lid and cook for about 10 minutes. ​12. 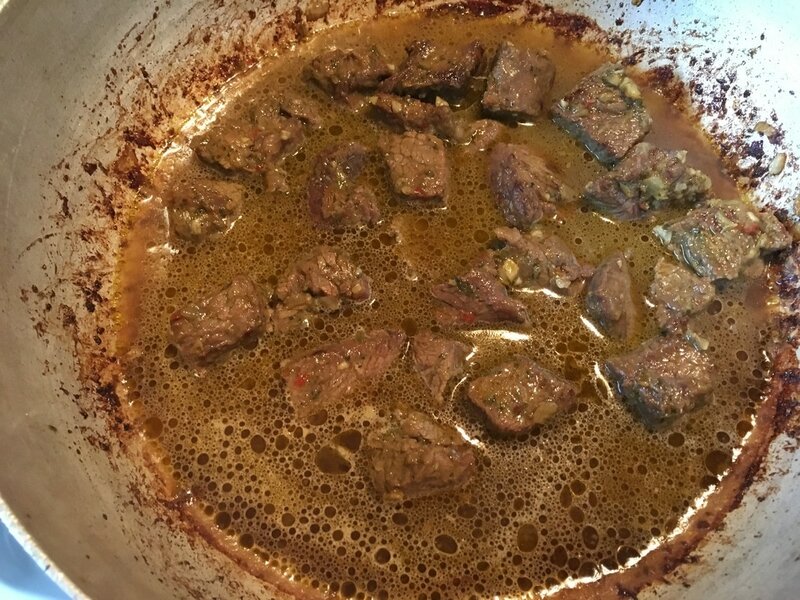 After about 10 minutes, the beef would have produced its own juices. Stir the contents and continue to cook covered until the liquid dries, approximately another 10 minutes. ​13. 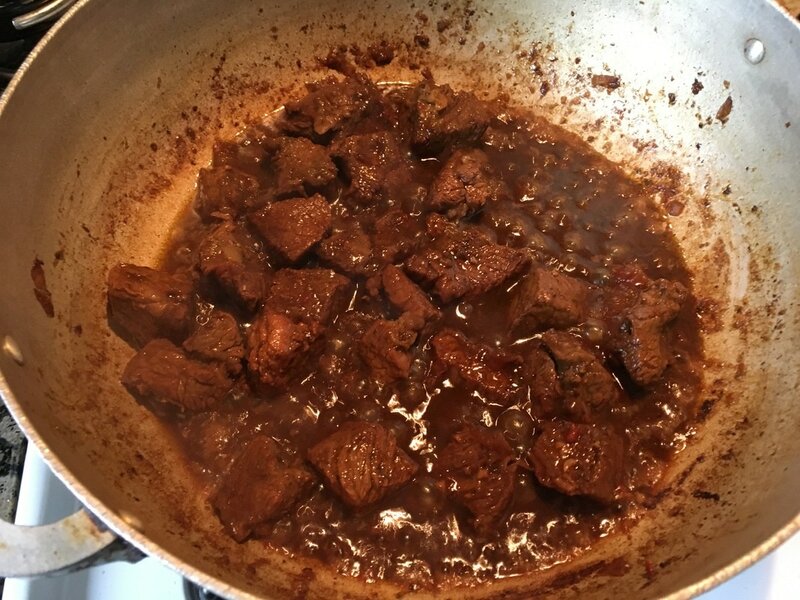 Once the liquid runs dry, sauté the beef on high heat, stirring occasionally, until the beef darkens and develops a deep color. You want it to almost “burn” but not literally. Do this for about another 5 – 10 minutes. ​14. Add about 2 cups of water and let the meat return to a boil while covered. Cook for about another 20 minutes. By then, the meat should be cooked but still a little tough. 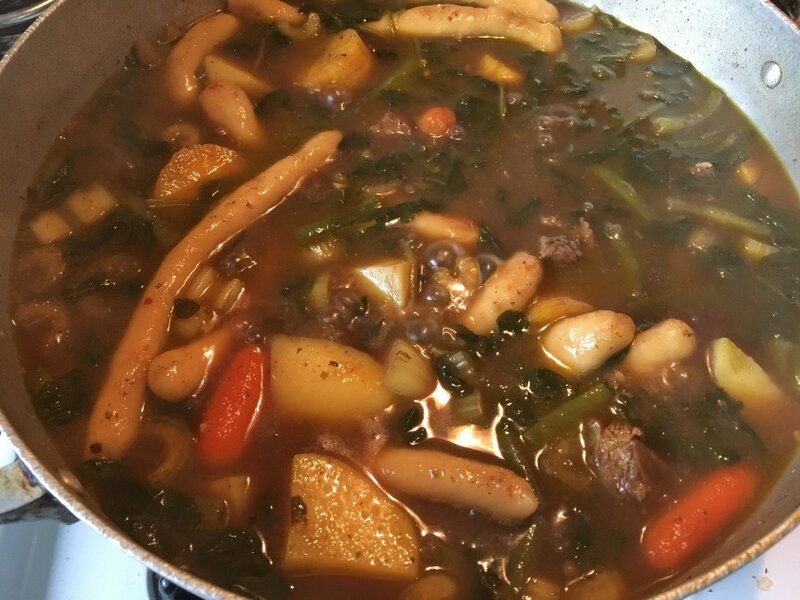 It will continue to cook and soften with the addition of the vegetables. ​15. 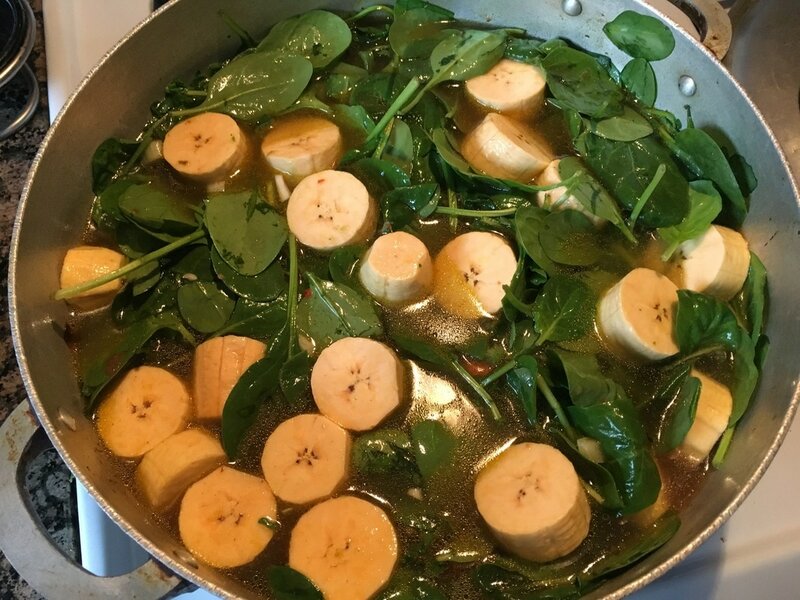 Too the pot, add in the prepared vegetables: celery, carrots, green beans, watercress, spinach, and plantains. Do not add in the potatoes at this time. ​16. Add in 2 quarts of water to the pot. 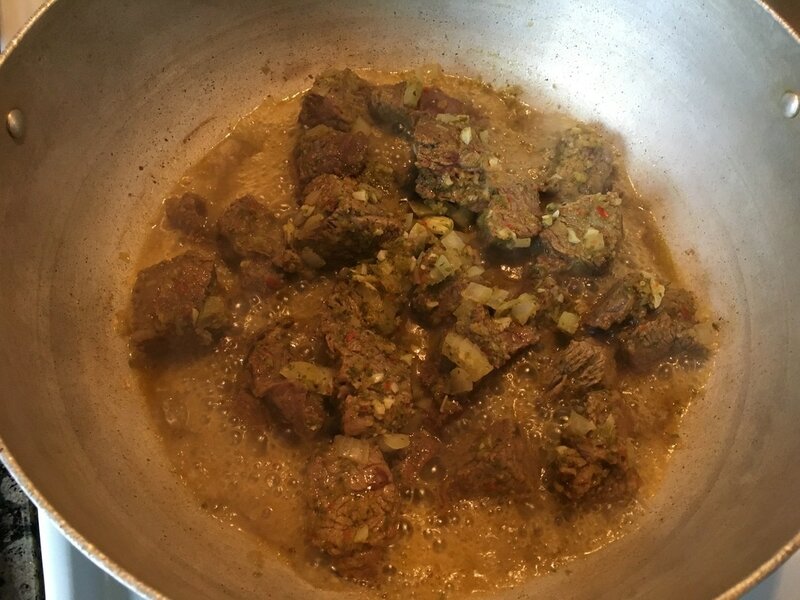 I added the water to the bowl I had the meat marinate in so that I can be sure to utilize the rest of the marinade that was left behind in the bowl, then I added it to the pot. Throw in your second Maggie cube into the pot. Cover the pot and allow it to come to a boil. ​17. Meanwhile, prepare the “boys” (dumplings) while waiting for the soup to come to a boil. 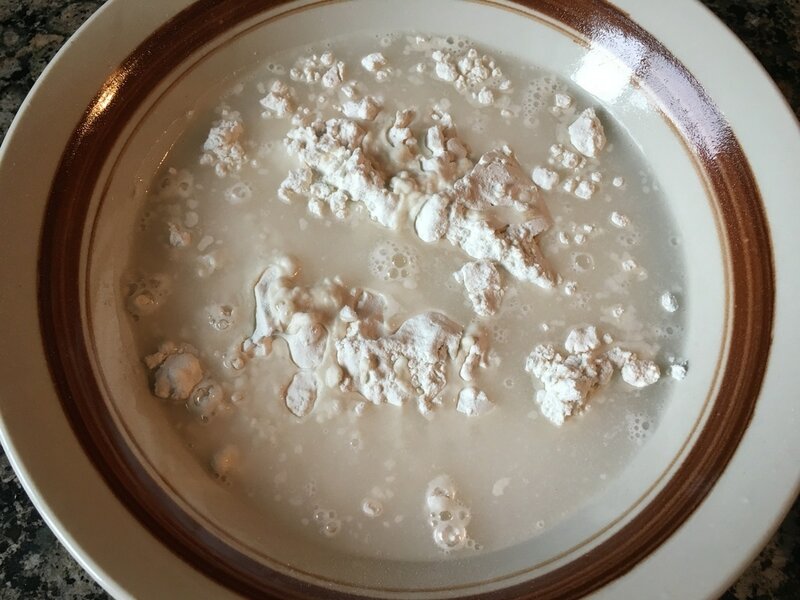 In a bowl, combine 1 ½ cups of flour with ½ cup of water. 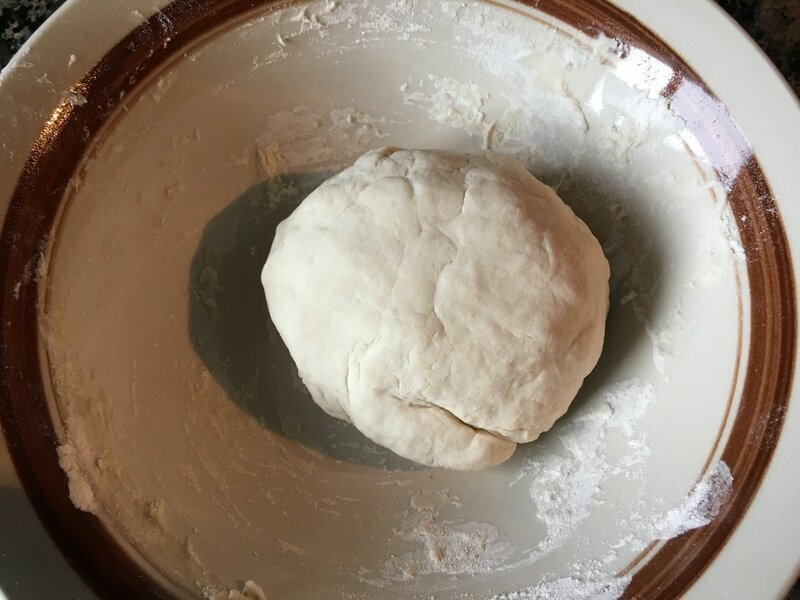 Mix and combine well to form a dough. 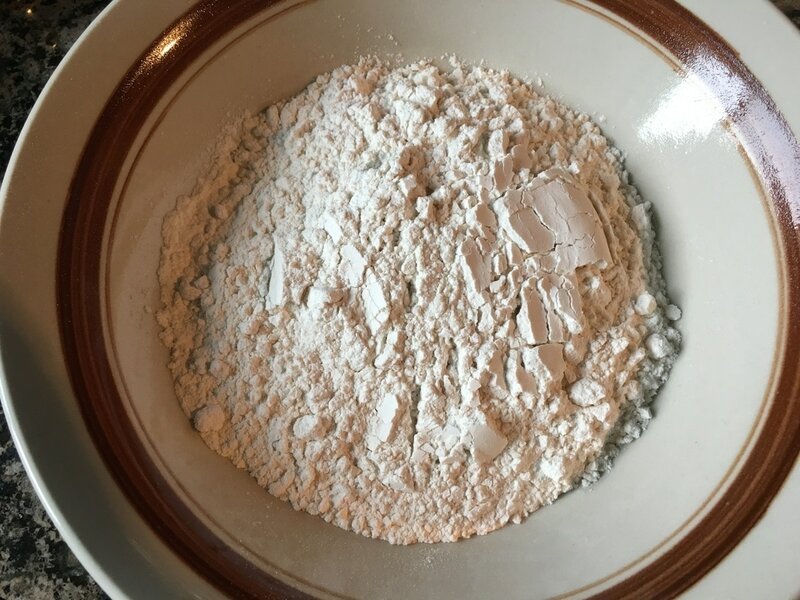 You may add more water or flour as needed. 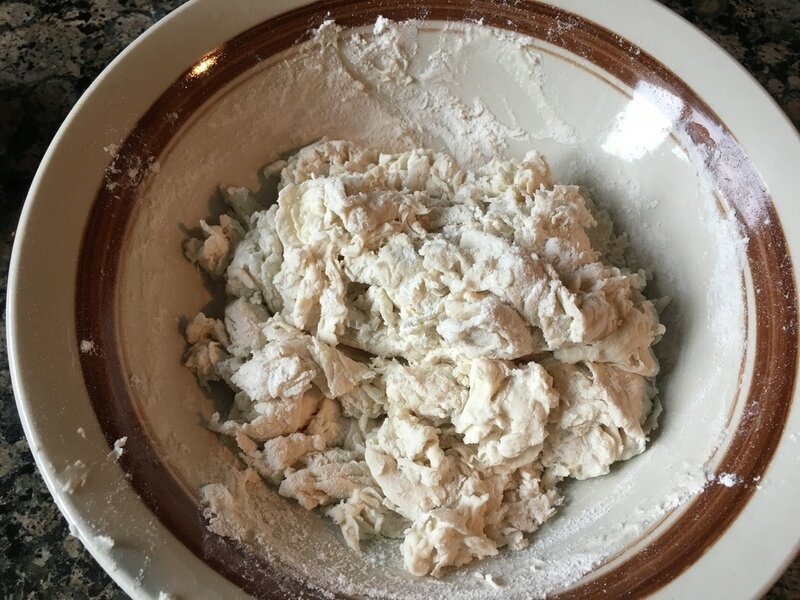 Knead the dough with your hands until it becomes nice and uniform. 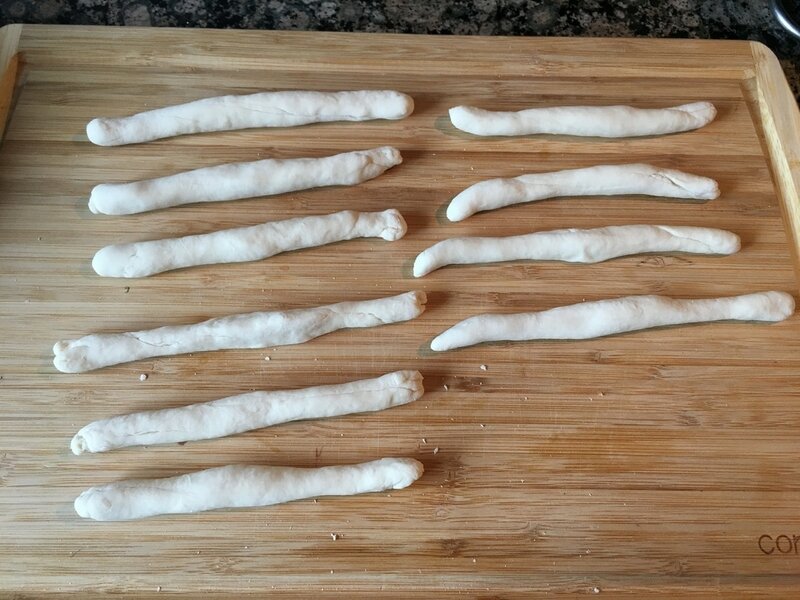 Tear off a small portion of the dough and spin it back and forth between the palms of your hands to form thin logs. It’s better to form them thin. They will eventually swell up but it will also allow them to cook faster. Feel free to make them as long or as short as you like. ​18. 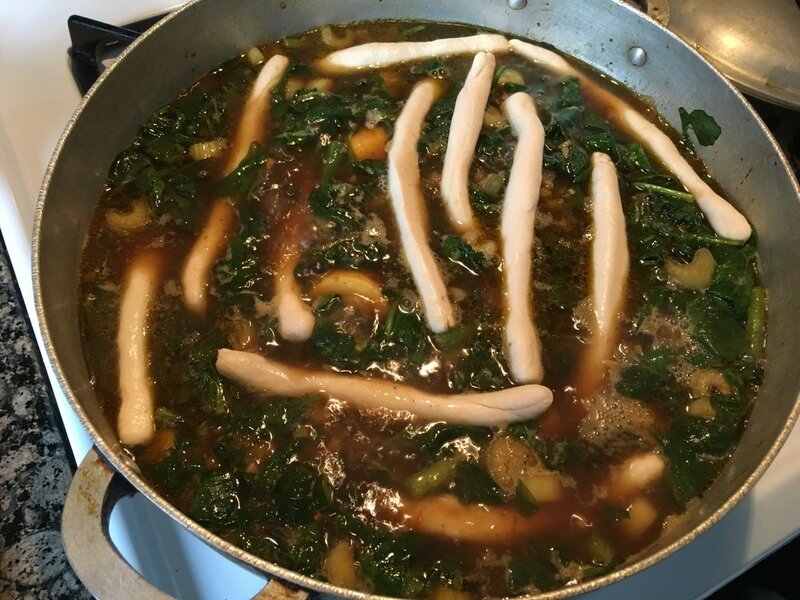 As soon as the soup comes up to a roaring boil, add in the dumplings. Let the dumplings boil in the liquid for at least 2 minutes before stirring the contents in the pot. Let the soup boil for about 15 - 20 minutes. ​19. At this time, you can sample the liquid and then add salt to taste if desired. Afterwards, add in the potatoes. Stir the contents and let it cook covered for an additional 10 minutes. 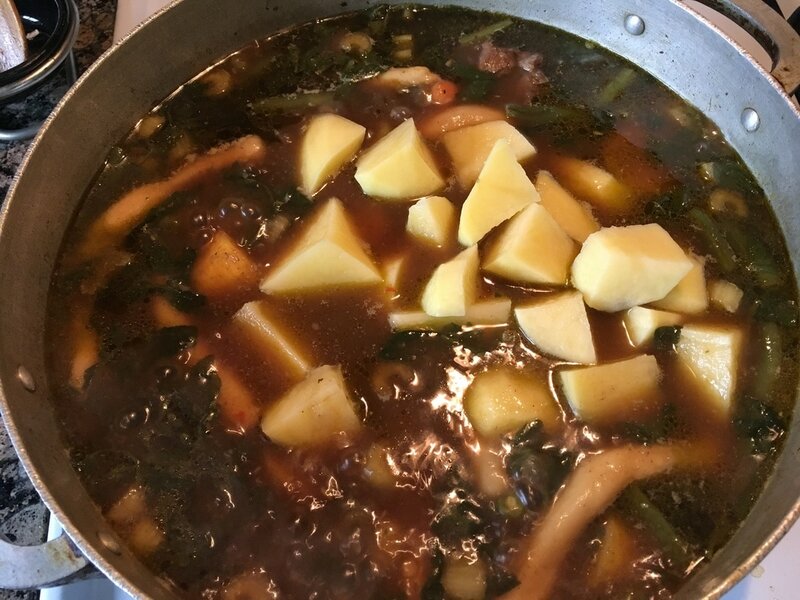 The potatoes should then be cooked through but not so soft as to break apart in the soup. Turn off the heat and the bouyon is ready to be served. 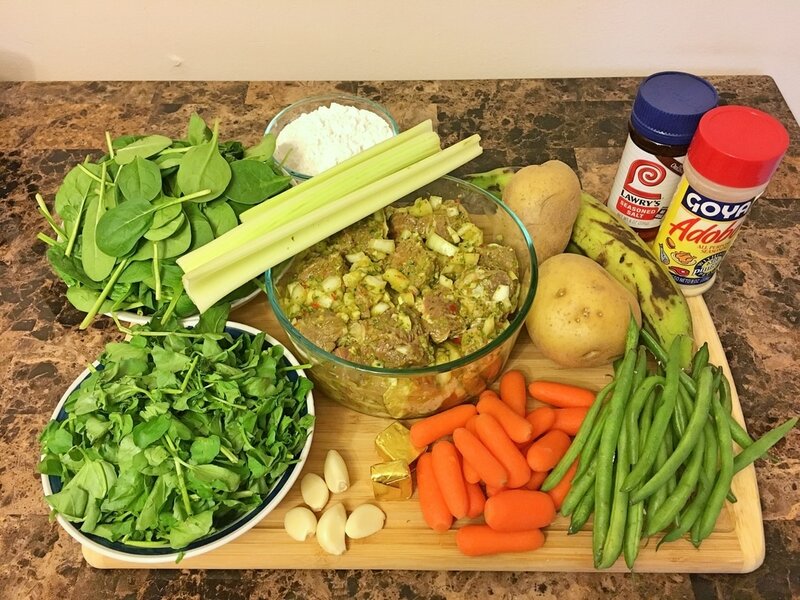 What are your thoughts on this recipe? 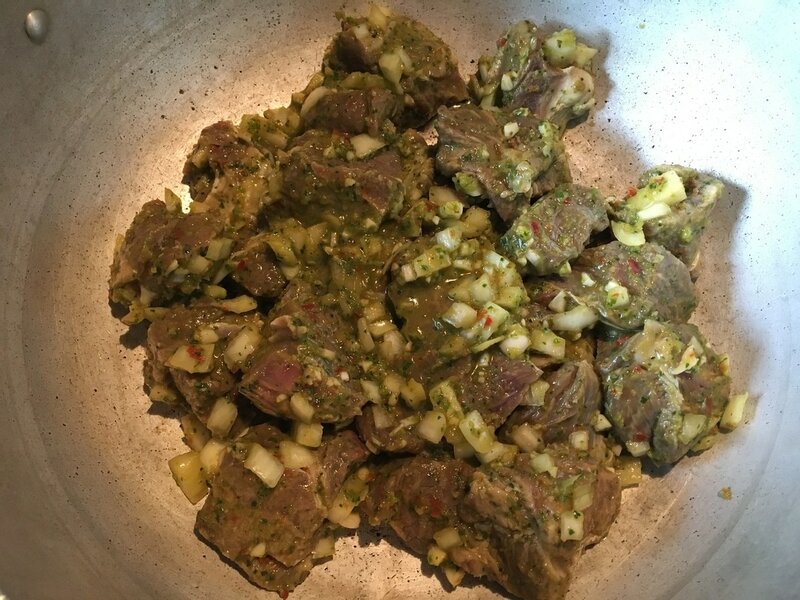 What type of vegetables/meat do you use in your bouyon?